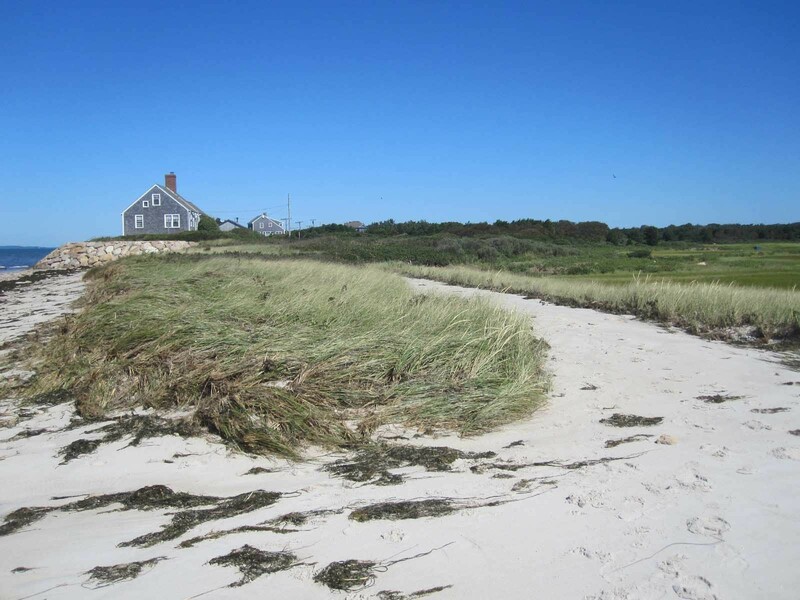 Beach like a local when you’re on Cape Cod! Don’t let the name fool you. Yes this beach abuts a march (which is absolutely gorgeous). When your back is to the marsh, it looks like a Grecian island. This beach has the best of everything. You can set up camp in front of the rolling waves. 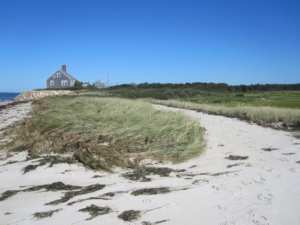 Or you can elect to treck around the protected peninsula and cross the stream where the marsh meets the canal. The unique landscape creates your very own lazy river that empties into the sea, It’s truly a sight to behold. You could spend all day bopping from biome to biome all within one spot. Bring your floats, and let the ocean river carry you to relaxation, You may be wondering how to get there… it’s tricky but that is by design, First step – ditch the vehicle and grab your bike! After all, is there anything more Cape Cod than biking to a beach? 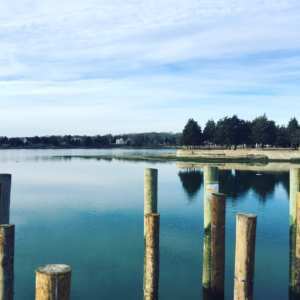 Take the Shining Sea Bike Path to Chapoquoit Road in Falmouth. Now take one quick left hand turn and you’ll find yourself on a dirt path to paradise. Simply ride your bike down the path until it opens up onto the marsh. Kick stands down, now head in on foot. Take your time and pick your spot… there’s nothing but beach! Great for: Swimming, floating on a raft, all day picnicking, beach games, cooler friendly. 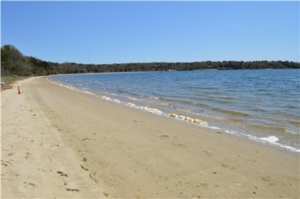 Locals and tourists alike love Chappy Beach. BUT, if you truly want to beach like a local, you need to know about the secret Chappy Beach. This one you can drive to if you please, but Shining Sea Bike Path will get you there no problem. Regardless of how you get there, just get there. And when you’re finally facing the wide open ocean and the throngs of people… turn around. Cross the parking lot. Cross the road. You’ll see a small opening in the dunes and the grass. What’s that? It’s a path. 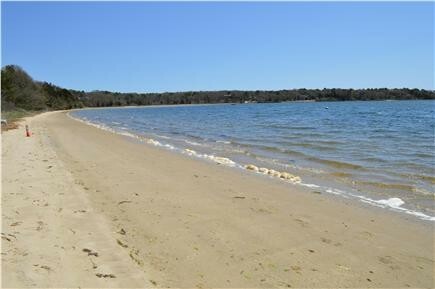 Scoot down the path and you’ll be met with your own private beach! This locale is perfect for fishing, lounging, reading, or soaking in the rays. It’s super quiet and a perfect place to take a bottle of wine as the sun comes down and watch the horseshoe crabs and plovers dart about their land. Great for: fishing, lounging reading, evening stroll. This is another marsh meets beach gem stone. Except, you can drive here. 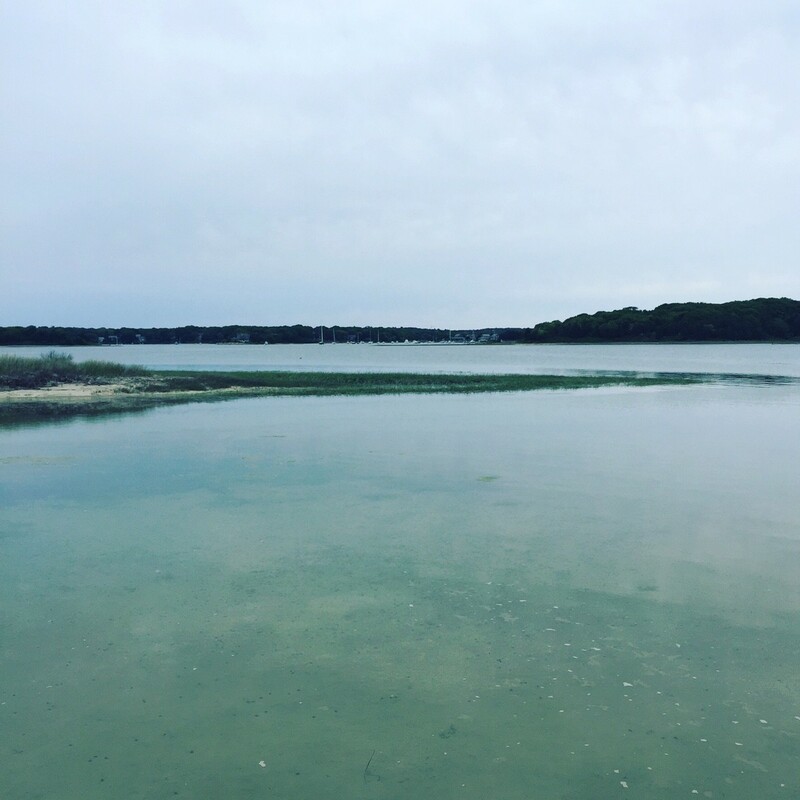 Just outside of Falmouth, technically within the confines of Mashpee, you’ll find Waquoit Bay National Estuary which is absolutely gorgeous. Amazing for bird watching, sun bathing, swimming, hiking, watching the sunset and plenty more! After cruising down Will’s Work Rd, the path will turn to a dirt road, so it helps if you have an able vehicle. Drive down until you can’t drive any further and throw it in park. Hop out and melt away into the sounds of the sea shore. You’ll see more birds here than at any other beach on this part of the Cape. It’s amazing! Great for: bird watching, swimming, hiking, watching the sun set, evening stroll, sunrise hike. 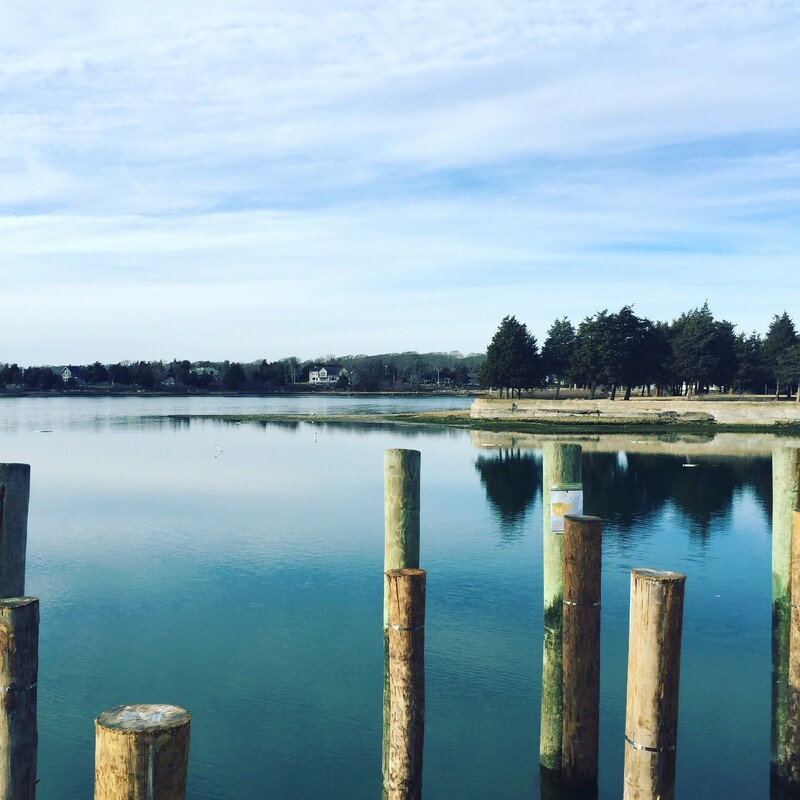 If you’re looking to go for a beautiful evening walk and perhaps would just like to dip your toes in the water, the Shining Sea Bike Path will have just what you need. If you take it up to mile 7.5, and take a left onto Chase Rd. you’ll see an absolutely iconic view of our little part of the world. 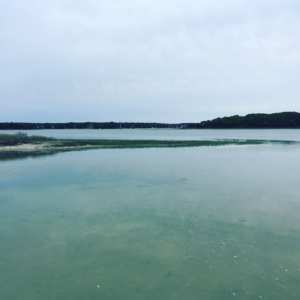 You can absolutely hit all of these spots in a day – all but Waquoit are accessible via the bike path. So when you stay with us, we invite you to be a local on your vacation. And here’s how to beach like one!